Long-term collaboration for U.S. distribution of Tryton Side Branch Stent pending regulatory approval. DURHAM, NC – October 27, 2016 – Tryton Medical, Inc., the leading developer of stents designed to treat coronary bifurcation lesions, and Cardinal Health, a global integrated healthcare services and products company, today announced that the companies have established a long-term strategic agreement for U.S. distribution of the Tryton Side Branch Stent, pending regulatory approval. 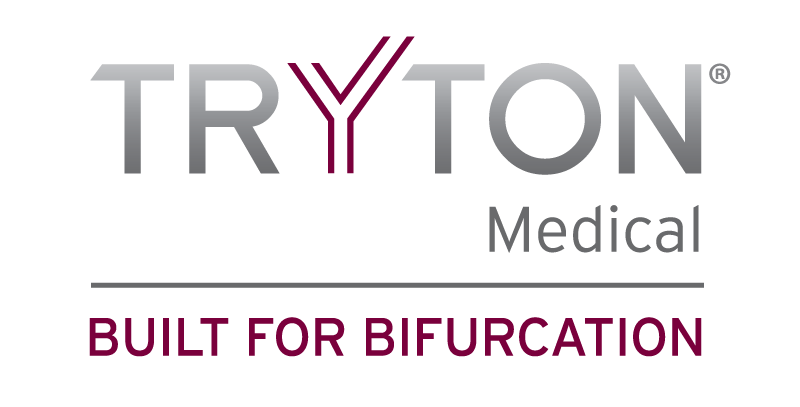 Tryton submitted a Pre-Market Approval (PMA) application to the U.S. Food and Drug Administration (FDA) for the Tryton Side Branch Stent in November 2015. Bifurcation lesions are present in 20%-30% of patients with coronary artery disease (CAD) who are treated with percutaneous coronary intervention (PCI). If approved, the Tryton Side Branch Stent would be the first stent specifically indicated for the treatment of bifurcation lesions in the U.S.
During the 28th Transcatheter Cardiovascular Therapeutics (TCT), the annual scientific symposium of the Cardiovascular Research Foundation, Tryton will sponsor a clinical symposium entitled “Establishing the New Standard: Definitive Treatment for Complex Bifurcation Lesions.” The symposium featuring leading experts in the treatment of bifurcation will be held in Room 143B of the Walter E. Washington Convention Center in Washington, D.C. on Monday, October 31 from 6:30-8am ET. Tryton is also exhibiting at booth 1343 at TCT 2016. Tryton Side Branch Stent System is built using proprietary Tri-ZONE® technology to offer a dedicated strategy for treating bifurcation lesions. Tryton’s cobalt chromium stent is deployed in the side branch artery using a standard single wire balloon-expandable stent delivery system. A conventional drug eluting stent is then placed in the main vessel. Tryton Side Branch Stent has now been used to treat more than 11,000 patients worldwide. The Tryton Side Branch Stent is commercially available in multiple countries within Europe, Middle East & Africa, is investigational in the US, and is not available in Japan.